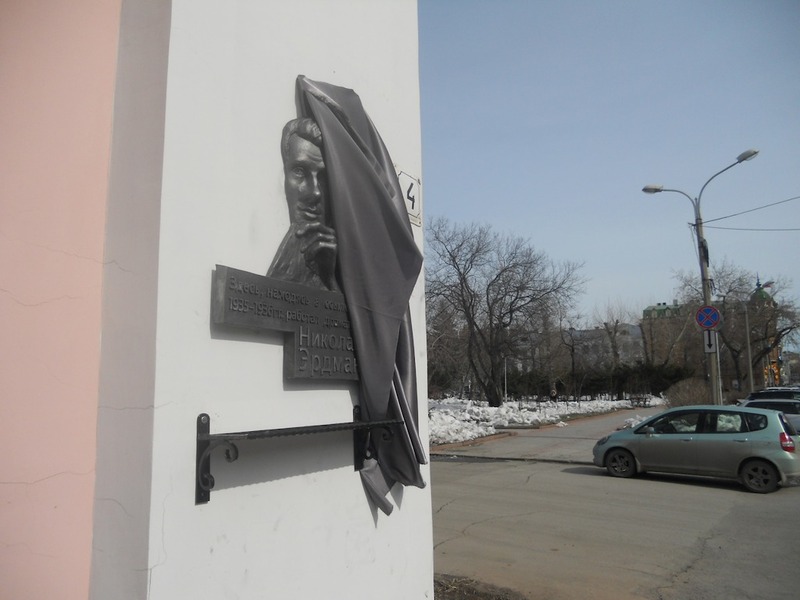 The appearance in 2011 of a plaque commemorating the fact that the great playwright Nikolai Erdman worked at the Tomsk Drama Theater was one of those little miracles that make life worth living. Erdman, arrested in 1933 during the filming of the great “first Soviet musical” Jolly Fellows, was exiled to Siberia in less than a week’s time. 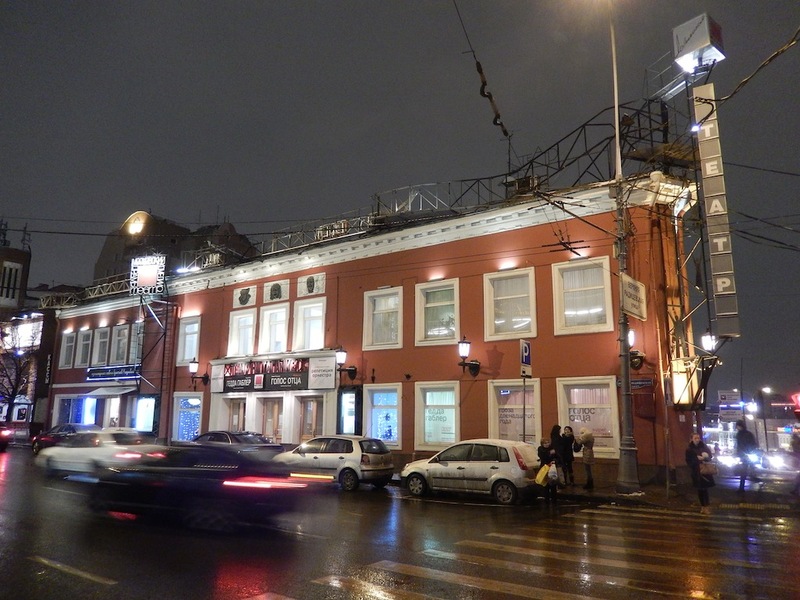 He was sent to Yeniseisk; his co-screenwriter Vladimir Mass on the film was sent to Tobolsk. Although the two had worked together frequently since the mid-20s or so, they would never do so again. 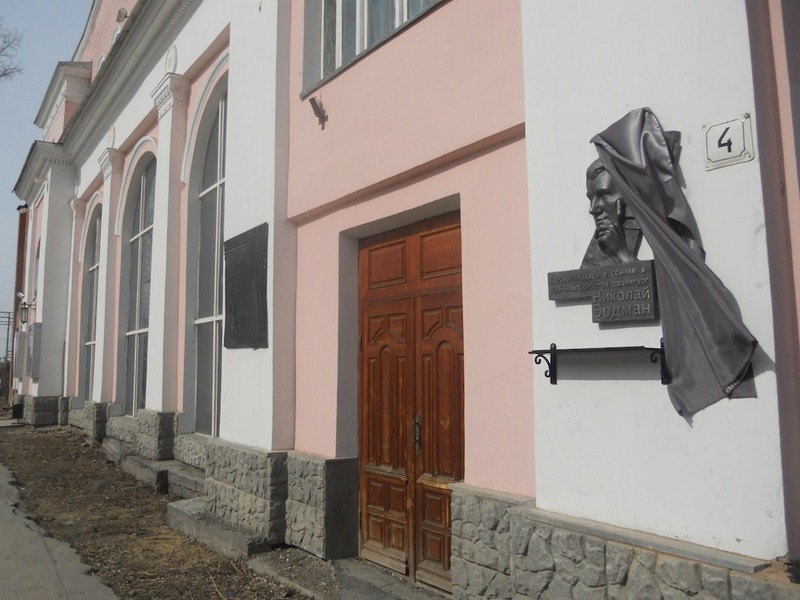 Erdman, apparently in gratitude for his good behavior in Yeniseisk, was moved to Tomsk in 1934. He remained there until his three-year sentence was up in 1936. 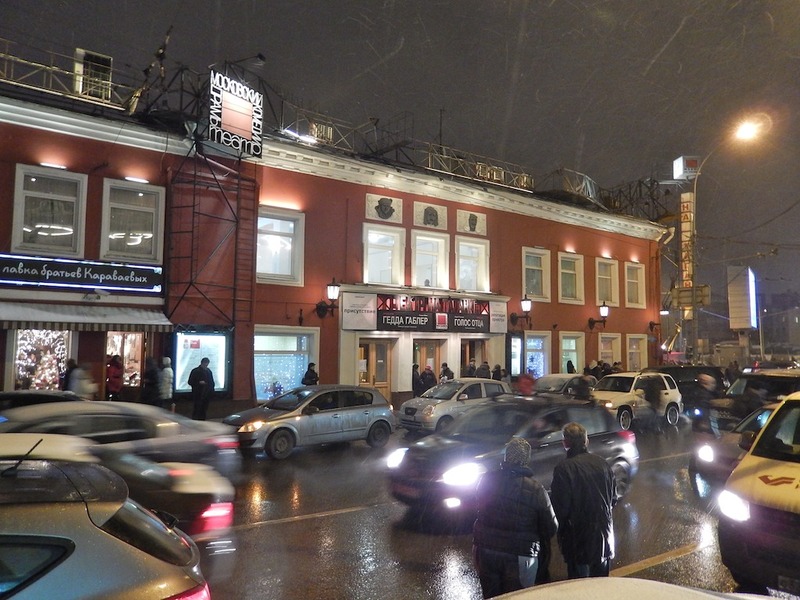 Tomsk has long been one of the biggest, most important Siberian cities. It was a central point for political prisoners and exiles being moved further into Siberia or keeping them from moving back to European Russia. As such, the city has a rich history of political prisoners contributing to the local culture. 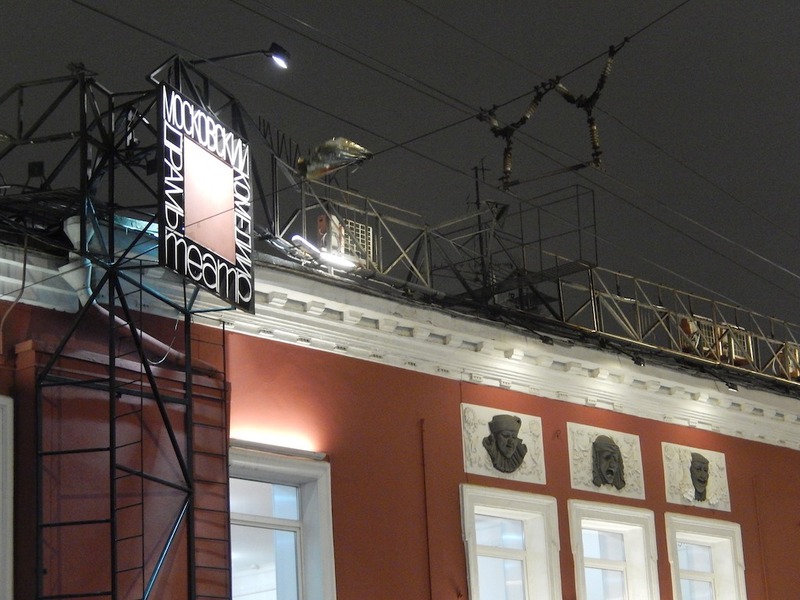 Erdman during his stay was officially employed at the Tomsk Drama Theater as literary director, and, while he was there, he wrote a dramatization of Maxim Gorky’s novel Mother, which was performed with some success. 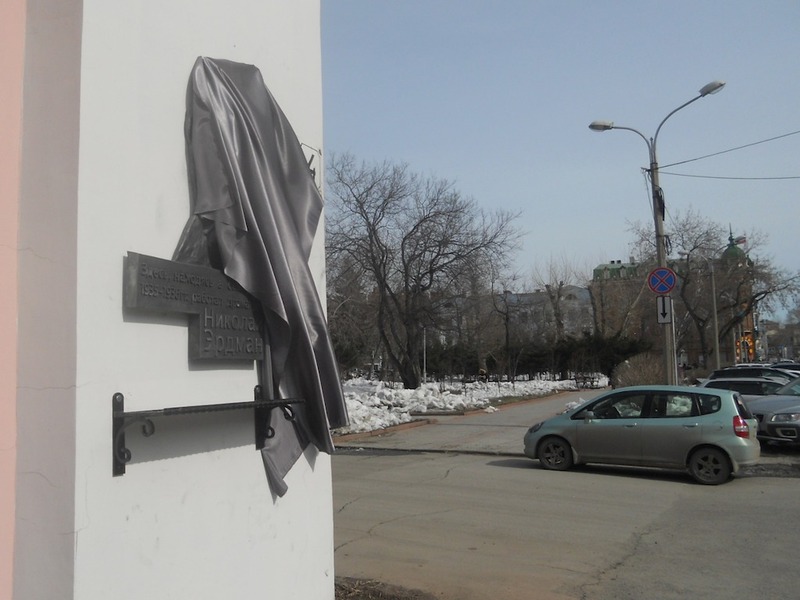 The plaque on the wall of the former Tomsk Drama Theater (now the city’s Young Spectator Theater) was unveiled on a crisp day at the end of March 2011. 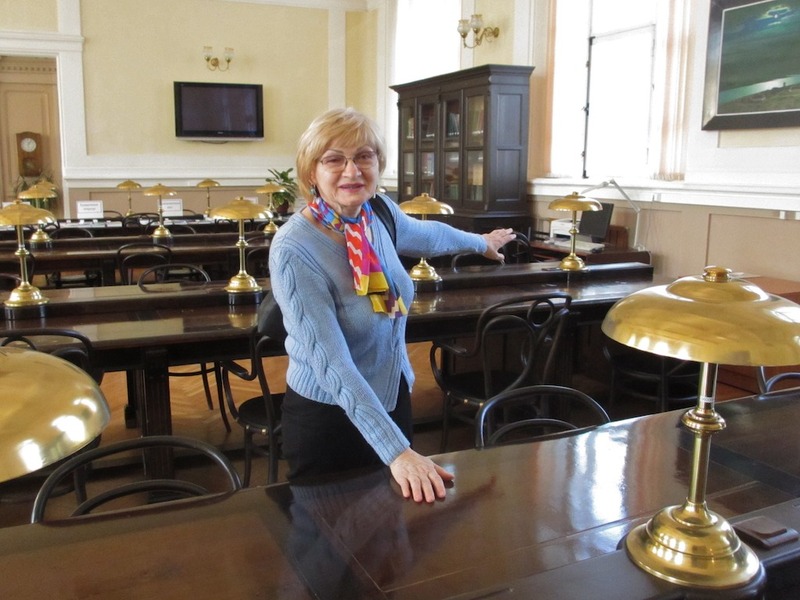 The event was the culmination of four years of work carried out by Professor Valentina Golovchiner, a Yevgeny Shvarts scholar, who had studied under the most important Erdman scholar of the Soviet era, Nikolai Kiselyov. 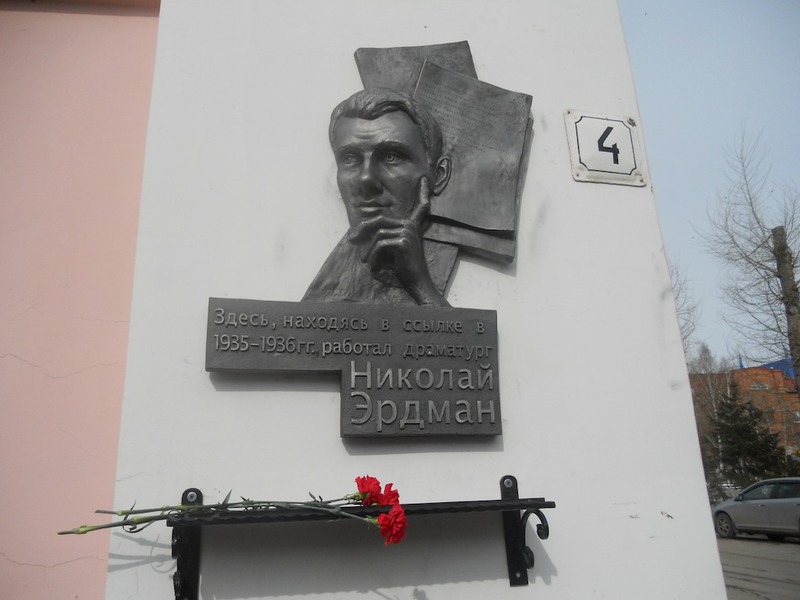 According to Golovchiner she got the idea of launching the campaign to erect the plaque (designed by great local sculptor Leonty Usov) from me when, one day, without thinking, I blurted out that someone ought to commemorate the fact that Erdman once worked in this building at Pereulok Nakhanovicha, 4. 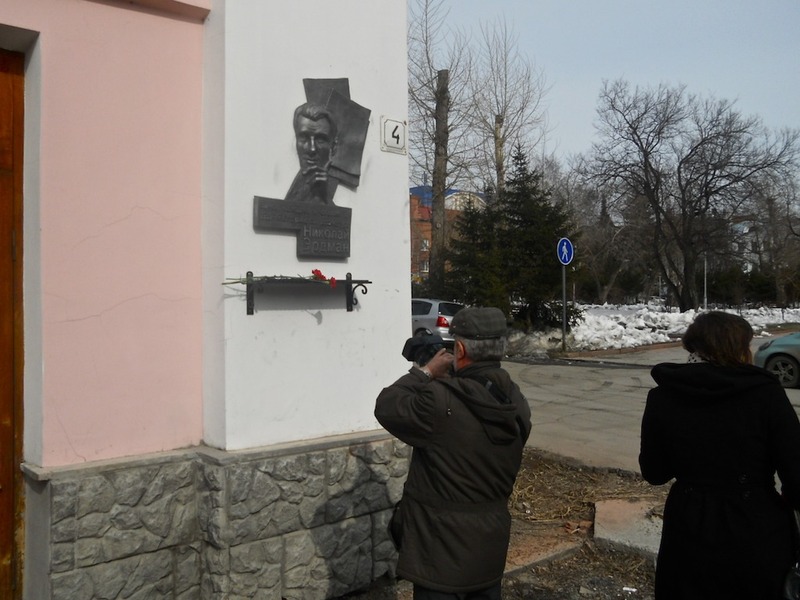 Be that as it may, this is the essence of the matter: Golovchiner showed heroic tenacity in pushing the plaque through all the stages of permissions, bureaucratic hoop-jumping and signature-collecting that were required to bring the project to fruition. As much as it is a truly satisfying recognition of Erdman’s contribution to Russian literature, drama and theater – for me it will also always be a monument to Valentina Golovchiner’s commitment to her calling as a scholar and historian of Russian culture. 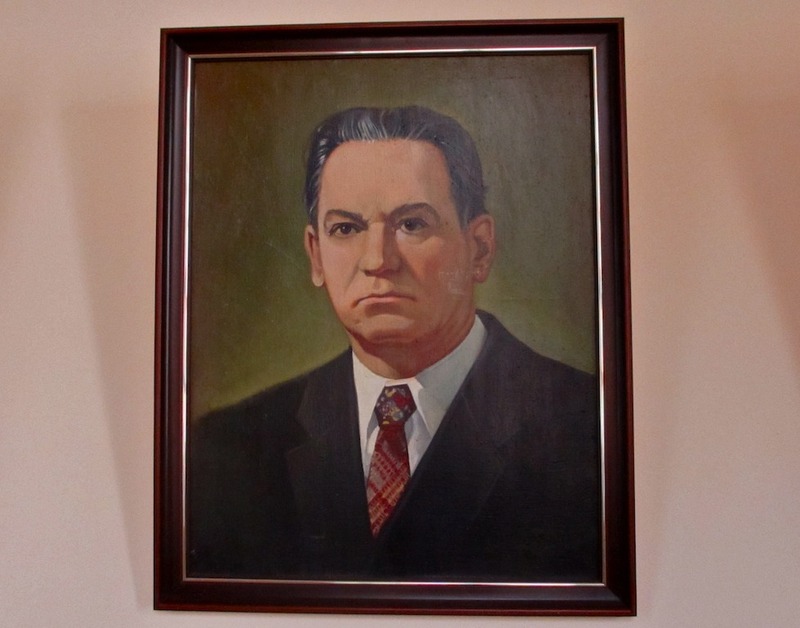 Following is a 2014 snapshot of Golovchiner pointing to the desk where Kiselyov used to work at the Tomsk State University Library, followed by a portrait of Kiselyov that hangs in a corridor on the second floor of the main university building.